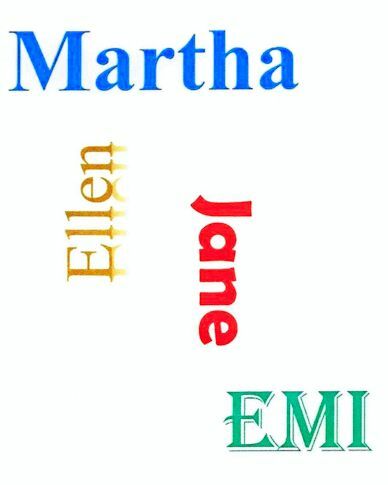 When I started writing Desert Jewels, my protagonist’s name was Martha. Although her father is Japanese, many Japanese Americans from her generation have European American first names. I chose Martha because it fit the picture I had in my head and seemed to work from both a historical and a cultural standpoint. I also wanted something that was easy for my English speaking readers to pronounce. Unfortunately, my protagonist referred to her mother—also a main character—as Mama. My online critique partner said that the two M names had her confusing the characters. Since Mama is of Swedish descent, I decided to keep that title and rename my protagonist. 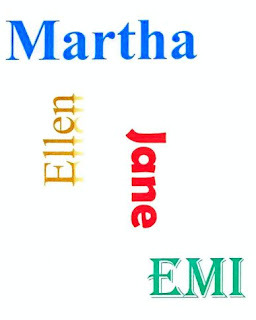 I tried Ellen, then Jane, and neither felt right. I ended up with Emi, which is a Japanese name that is easy for English speakers to pronounce. These issues persisted as I picked names for other characters. To make the story realistic, I needed Japanese first names for some of the children from Emi’s generation as well as for the generation before. Then there are the last names. I pronounce words in my head as I read them, and I assume that at least some of my readers do, too. So I looked for Japanese names that my readers could pronounce correctly. The biggest roadblock came with names that had two adjacent vowels. (More about that in next month’s post.) I tried to avoid them when I could. For example, Emi’s last name is Katayama, and her Japanese American friends include Toyo and Yuki and Sam and Goro. But the entire process took on greater importance than it had for my previous books. Because choosing realistic names and pronouncing them properly is part of honoring the culture. For the past two months, I have included two of my favorite writing books. Story Trumps Structure by Steven James and On Writing by Stephen King. Today, I want to talk about a book that I am still working with on a daily basis and hopefully soon, I will master. Most writers do not enjoy mathematics in school or in daily life. But I’m an exception. I really enjoyed Algebra, Trigonometry, and Calculus. Besides reading in class, I loved figuring out math problems, not story problems; I can’t do those. 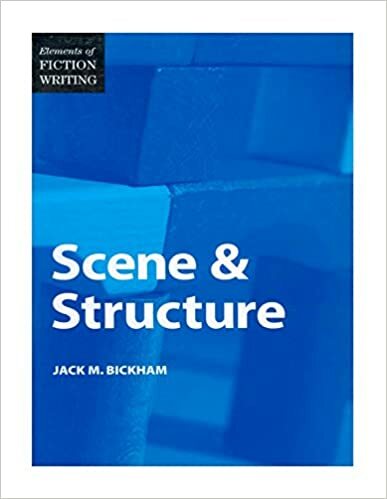 In Scene and Structure by Jack M. Bickham, I have many, many underline parts and post-it notes. I have even done the exercises over and over. I have taken the exercises to Susan May Warren and Steven James’ books, trying to figure out how this works. The analytical side of my brain doesn’t comprehend how this flows together. As I enter contests, the biggest comment I receive from the judges is that I don’t do Deep POV well, but I can’t get my brain to understand this. I need someone to mentor me in this because I sure can’t understand this. Anyways, Bickham includes weaving subplots into the main story line. He uses examples from popular literature. Even if you aren’t familiar with the story, you will be able to understand his examples. Some writers may find this book to complex, but I really enjoy reading and studying this book. It is more detailed and explained than most writers probably want when reading a writer book to improve their craft. I just wish there was more like this. Did you enjoy math in school? Have any suggestions or clues to help this Deep POV struggling writer to figure this out? I would gladly start a discussion on this and take advice. The objects of these notes of gratitude can range from an author’s Fido or Fluffy, who provided good company during the many hours at a keyboard, to God himself—with any number of family, friends, assistants, and publishing professionals sprinkled in. It doesn’t necessarily matter to me where each is mentioned in the line-up (as long as God receives special mention! ), but it does matter to me that the author cared enough to make acknowledgments in the first place. Why, beyond a keen awareness that it “takes a village” to write and present a book in any form, do I find acknowledgments important? Because beyond the message, and certainly beyond the evidence of storytelling skills, acknowledgments tell me if gratitude resides in an author’s heart more than pride. Now, it’s fantastic to see your name on the front of a book, and only the author truly knows the amount of blood, sweat, and tears that went into the work. A certain amount and type of pride is, in my opinion, appropriate and “allowed.” For Christian writers, the acknowledgment that God has called them to write informs how they can humbly manage success (as well as how they manage disappointment). “In all your ways acknowledge him, and he will make straight your paths” (Proverbs 3:6 ESV). God not only offers his ongoing support when he calls us on a journey, but he promises he will keep us going in the right, and I would also say humble, direction if we don’t forget he’s in charge. Now, that’s worth acknowledgment! But God also allows human beings the privilege of walking alongside others’ paths, being part of the chain of help and encouragement that can make all the difference in the creative life. When authors write, complete, and even succeed, those who have lent their support or advice or expertise or assistance appreciate acknowledgment that they, too, answered God’s call to be a part of an author’s journey. Not because they are filled with pride, but because they are so pleased to have made a contribution. I’ll tell you the truth: it kind of breaks my heart to see no acknowledgments in a book at all. Or acknowledgments that basically say, "You know who you are." Do they? I realize the oft-included admission that someone may have been overlooked on an Acknowledgments page is necessary. After all, authors are human too, and sometimes the available space for acknowledgments is limited, or such a page is not traditionally included in a book such as a storybook for children. I also realize an author doesn’t always know the names of every hired editor, proofreader, designer, and so on. And I do not mean to offend any author who has a book out there without acknowledgments. You are not a terrible person! But to the degree authors can acknowledge that they have not accomplished their work alone, and can do so with honesty and humility, I recommend it. Professor Randy Pausch, whose last lecture as a terminally ill forty-seven-year-old became the book The Last Lecture, got some help putting together his acknowledgments because he was too ill in his last days to write them himself. Though I am sure he would have preferred to write them himself, I have a feeling he would have loved the extensive acknowledgments others crafted for him. Not only because so many had a hand in his accomplishment, but because he recognized so many had a hand in his life. After God’s hand in a life, what is better than that? So why not document the full extent of your acknowledgments now as an act of gratitude, even if they will never all appear in printed form? Who has a hand in your writing accomplishments? Who has a hand in your life as a writer? I’d love to hear about what acknowledgments mean to you. My bottom office drawer is filled with items which once had purpose. 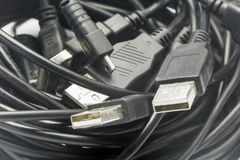 Short, white phone jacks; thick, yellow USB cords; blue cords with funny square ends to them that no one knows that they do; enormous grey plugs that look as if they mean business; and, six surviving cords from deceased laptops and printers roil about in my bottom office drawer. Each one was carefully placed in the drawer by me at some time in the past. Some of them are even labeled. I didn’t throw them away because I expected them to be used again in the future. Plus, after laying out so much money, it felt wasteful to pitch them when the computer died, the monitor remained black, or I changed service providers and they didn’t want the old modem returned, a definite red flag as to why I shouldn’t have bothered to keep it any longer, either. Recently, I reached into the bottom office drawer and the cords came out en masse. Also entangled in them was the cup heater, the direct line house phone (in case the power goes out), various program start-up-rescue disks, and several miles of thin, flat, black phone line. All that and I still couldn’t find the cord I needed. I was sure I’d labeled and stored it there. I have a theory how this happens. It’s an enchanted drawer. Once the drawer closes the cords come alive and entwine like baby rattlers in a snake pit. The big nasty snake-cords eat the more benign snake-cords and have hybrid baby snake-cords that don’t belong to anything, which is why the drawer remains messy and full of useless cords that spring out at me when I open it. A writer’s life is a lot like that drawer. We each have items we keep that were once useful. It could be articles we’ve written when we started out or blogs and activities we do that no longer serve a constructive purpose. When we try to keep all these once-useful things life gets messy, tangled, and bogged down. A writer’s life, like that bottom office drawer, needs spring cleaning. 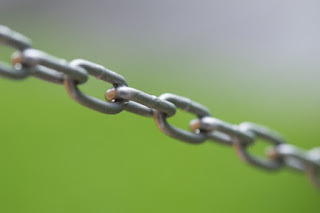 What no longer has a direct use, makes a connection, or serves an immediate purpose must go. It’s not as simple as hacking away what was once a joy, but now is a chore. Sometimes “chores” feel that way because we’ve crowded them with other activities that cause us to lose focus. This means we have to lift each activity to God and ask what He wants to do with it. Only He has the foresight and insight. How about you? What in your life needs to go? What needs straightening? What needs to be rescued from the bottom office drawer and moved to a place of importance on your desk top? May God whom I serve, bless you, guide you, inspire you, and speak through your writing this year. Last month, I released two books through Amazon's CreateSpace and Kindle platforms. It was my first attempt at this, so perhaps my novice experience will help you make decisions about whether to use these channels for releasing your own work. The first book was actually that of a friend, Beverly J. Worth of Warsaw, IN. Beverly has a tax preparation service for ministers and has published Worth's Income Tax Guide for Ministers every year since 1973. At first, the book was published by Baker Book House. The tradition was continued by Appalachian Distributors and Evangel Publishing House. In recent years, Beverly has self-published the book. When I met with her in February to begin work on my own tax return, I saw dozens of book cartons stacked in her office hallway. This was her inventory of the 2016 Income Tax Guide. When someone ordered a copy through her website or 800 number, she or a secretary would process the credit card, then pick, pack, and ship the book. When she needed copies for one of her tax seminar, a helper would pack the necessary copies and ship them to the distant venue--or she would lug a carton onto the plane as checked baggage. So I told her about Amazon's CreateSpace service (http://www.createspace.com). As I understood it, this program would allow an author to upload her book as a word-processing or design file. CreateSpace then converts it into a printing file, which they use to manufacture copies of the book on demand (even if only one copy is needed). The title is available for sale through Amazon or other retailers, and the author receives a nice percentage of the selling price. By the way, I explained this was all hearsay, because I'd not yet finished preparing my first CreateSpace book. "Why don't you delay yours a few days and help me put the Tax Guide into the program?" she asked. So we began our first test run. Beverly gave me the Adobe Acrobat (PDF) files that her local printer used to produce all those cartons of books in her hallway. I set up an account for her at CreateSpace (there's no cost to get started) and followed their online instructions to modify Beverly's file for their use. I have intermediate skills for using the computer, and I found the process incredibly simple to follow. After uploading the file, I ordered a proof copy for Beverly's review. She received it within a few days, found a few adjustments she'd like to make, and I revised the file. To this point, our only out-of-pocket expense was the cost of printing and shipping the proof (less than ten dollars). When the proof was satisfactory, I pressed a button to release the book. Within six hours, it appeared on Amazon.com and orders began coming in. I'm writing this a week after Beverly's book went "live," and I see that she has sold 8 copies through Amazon, earning nearly a hundred dollars. Because of the Tax Guide's long-standing reputation, people come looking for it, so Beverly can continue preparing tax returns and stop handling book orders. And she'll collect a royalty check every two weeks. Nice! A lesser-known author with a lesser-known book has to be more proactive in marketing it. An author may also want to self-publish a book through Amazon's Kindle Direct Publishing program, which was ill-suited for Beverly's book. That's where the story of my book begins--next time.